The Annual Business Breakfast highlights the Chamber’s yearly accomplishments, formally approves the new Chair of the Board of Directors, and welcomes a keynote speaker. The Annual Awards Dinner is the Chamber’s premier event, uniting the business community for a lavish ceremony that includes dinner, guest speakers, and presentations. 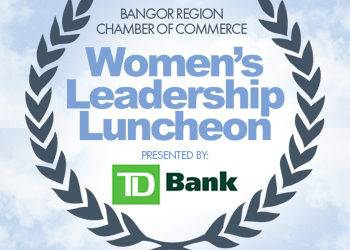 Recognition is given to area leaders who have made a significant impact on the Bangor region, the most prestigious of which is the Norbert X. Dowd Award. The dinner highlights the year’s successes for the Chamber, as well as our vision for the future. Contact Brian Cotlar for available sponsorships. A popular Chamber event that allows for networking between business professionals. The after-hours is held at a different Chamber member location each month, which enables the Chamber to secure visibility for a number of different members. The time-frame of 5:00-7:00 PM permits attendees to enjoy appetizers and drinks after work, and also enter to win fantastic raffle prizes donated by area businesses. The annual Business Expo is one of the biggest Chamber events of the year, bringing nearly one hundred of the region’s businesses together for a full day of business showcasing, networking, and seminars. Members are able to promote their products and services to the public, while simultaneously participating in a number of networking opportunities and interesting seminars. The Expo is one of the largest gatherings of business professionals in the state, greatly enabling Chamber members to make contacts and gain visibility. Chamber members who are interested in discussing Maine politics can join the Hot Stove League, a session that enables round-table dialogue between Chamber members and legislators. Discussion topics are items on the policy burner, including transportation, tax reform, and economic development. As the voice of the business community, the Chamber is passionate about engaging with members on policy issues so that we may advocate for members at the local and state government levels. The Hot Stove League meets on Saturday mornings, 8-10am, during the Legislative season at Rangeley Hall at Eastern Maine Community College. The annual Golf Tournament brings Chamber members together in a unique and enjoyable way, providing networking and increased visibility through a day on the green. Held at one of the area’s fantastic golf courses, the tournament is one of the Chamber’s largest fundraisers which enables support for Chamber programs and activities that promote and advance a vital, healthy business environment. In addition to a round of golf, participants enjoy a barbecue and a number of great prize giveaways. · Your company logo on golf balls given out to players at the tournament, straightest & closest drive and net winners. · This is our “Gong” challenge at the driving range. During the Legislative season, monthly sessions take place at which Chamber members and elected officials may discuss important issues, such as transportation, tax reform, economic development, and other topics. The political season offers opportunities for debates, candidate receptions, moderated discussions and other ways to connect our members with candidates in all levels of government. 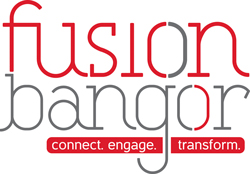 Fusion:Bangor, Bangor Region Leadership Institute (BRLI), and Building Bridges hold several events during the year. Fusion hosts monthly Noontime Networking sessions, sporting events, quarterly socials and a unique annual awards dinner. 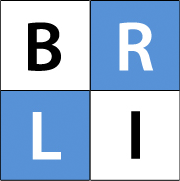 The BRLI Program hosts a Laugh-In, Annual Dinner and kick-off breakfast. The Chamber offers several seminars during the year, focused on business development, workplace issues, social media topics, and other subjects of interest to our members. Last year we hosted a Human Resources Seminar with EMDC. An exciting opportunity for members to share their knowledge and expertise with our regional Chamber members. BRCC seeks proposals for seminars on topics related to business development. It is held monthly at the Machias Savings Bank location in Brewer. The attendance for each seminar is usually 30-60 people.